The aim of this book is primarily to highlight humour?s communicative, relational and innovative value in everyday life and in the privileged space, carved out of everyday life, that is psychotherapy. Chapter one describes philosophical, social and psychological perspectives on humour. In Chapters two and three humour is presented as a form of playing which originates in the earliest exchanges between mother and baby and which confers significant advantages on our adaption. 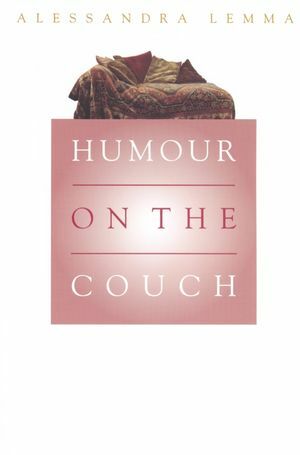 In Chapter four the relationship between physical and mental health and humour is examined in the light of the research literature from psychology and medicine. Chapter five restricts itself to a discussion of psychoanalytic views on humour in psychotherapy. Finally, chapter six reviews evolutionary perspectives of humour. Professor Alessandra Lemma is Director of the Psychological Therapies Development Unit at the Tavistock and Portman NHS Foundation Trust. She is a clinical psychologist and a psychoanalyst. She is Visiting Professor, Research Dept of Clinical, Educational and Health Psychology, University College, and Visiting Professor of Psychological Therapies, School of Health and Human Sciences at Essex University. She is a Fellow of the British Psychoanalytic Society. She has published several books and papers on psychotherapy and psychoanalysis. Introduction - a Funny Thing Happened to me on The way to Therapy. . . . The Playroom of The Mind.